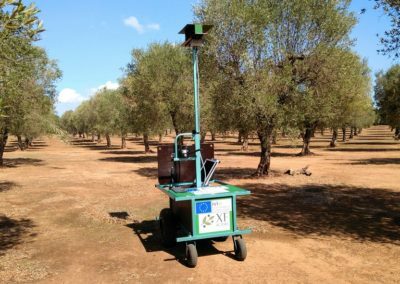 Novel researches on early detection of Xylella carried out in Apulia. 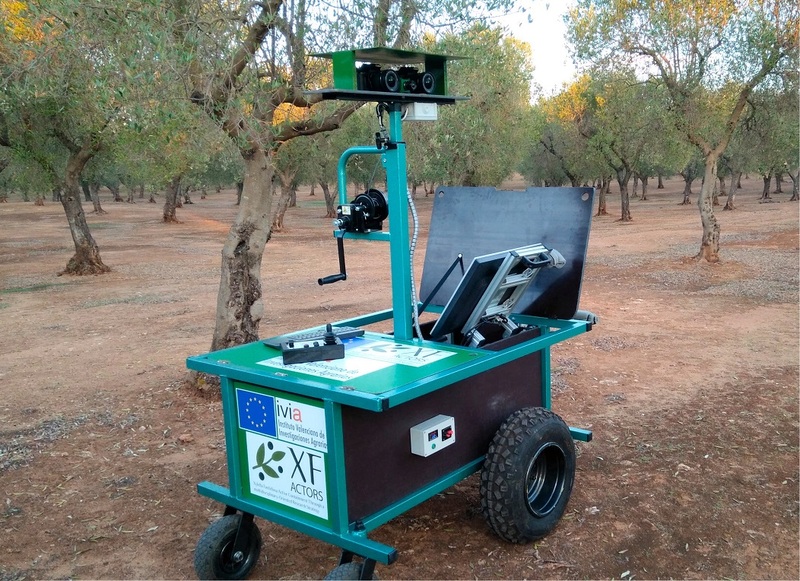 New research on early detection of Xylella carried out in Apulia with ground field vehicle equipped with remote sensors. 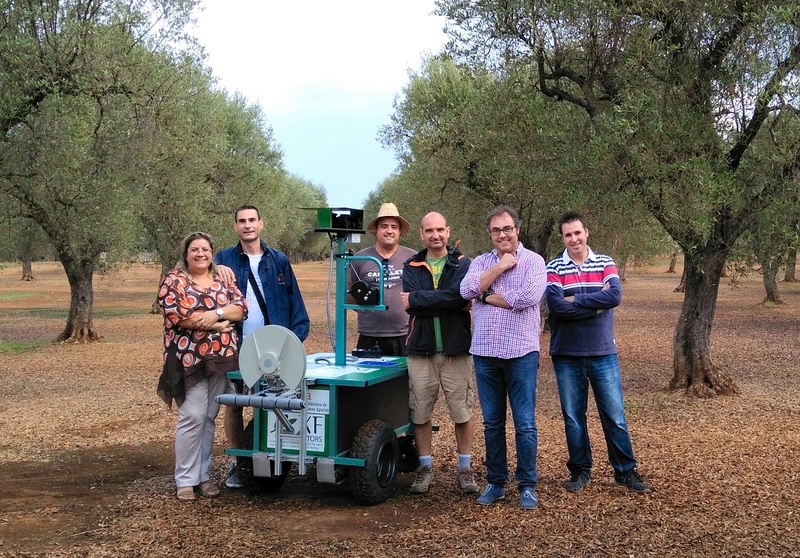 Researchers from IVIA (Spain) visited in September the Xylella-infected area of Apulia to set novel research on early detection of Xylella fastidiosa. The research has been carried out using remote sensing, with the collaboration of CMCC and CIHEAM-IAMB partners. The activities are funded under the H2020 project XF-ACTORS, the first research project in Europe entirely devoted to research on the bacterium Xylella fastidiosa. 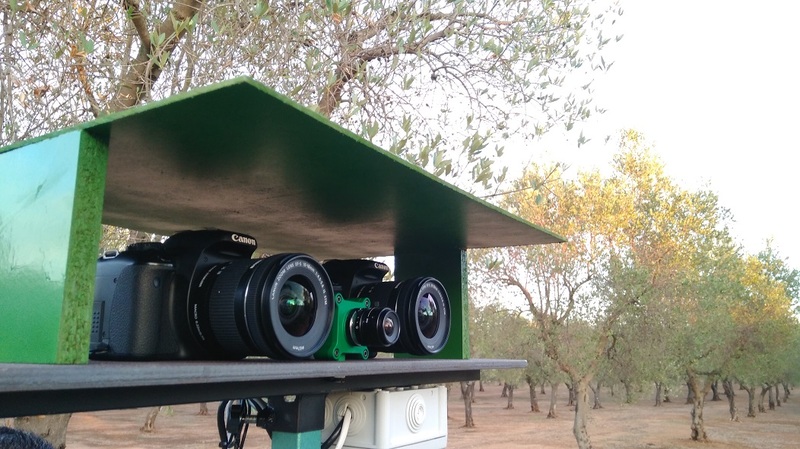 During the week of September 18-21, 2017, researchers from the Valencian Institute of Agricultural Research IVIA, (Moncada, Valencia) were in the Italian region of Apulia to set a round of experiments on remote sensing aimed at the early detection of Xylella fastidiosa in asymptomatic trees. 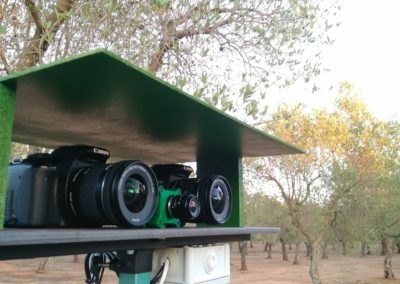 The experiments were carried out with the use of a ground field vehicle equipped with multispectral imaging and 3D laser scanning systems. This new vehicle was developed to obtain high resolution remote sensing imagery and data of the field. The sensors used for this purpose can measure the structure and the electromagnetic energy emitted or reflected by plants at different wavelengths, which is influenced by various structural and leaf biochemical constituents of the plants. Often, healthy and diseased plants have different characteristic spectral signatures, allowing the detection of the physiological and biochemical effects of the early stages of infection through the development of adequate statistical models. The data recovered from this experiment are complementary with other efforts actually in progress for the early detection of the infection at laboratory level and at landscape level currently being carried out by CMCC, CIHEAM IAMB, JRC-European Commission, CSIC-IAS, CNR-IPSP and UNIBA. Moreover, they will be very useful to set large and more complex experiments in 2018 with improved equipment. This research task, as many others in XF-ACTORS, takes benefit from the involvement and cooperation of different research groups within the Consortium and from the external collaborations with POnTE project Consortium’s members. 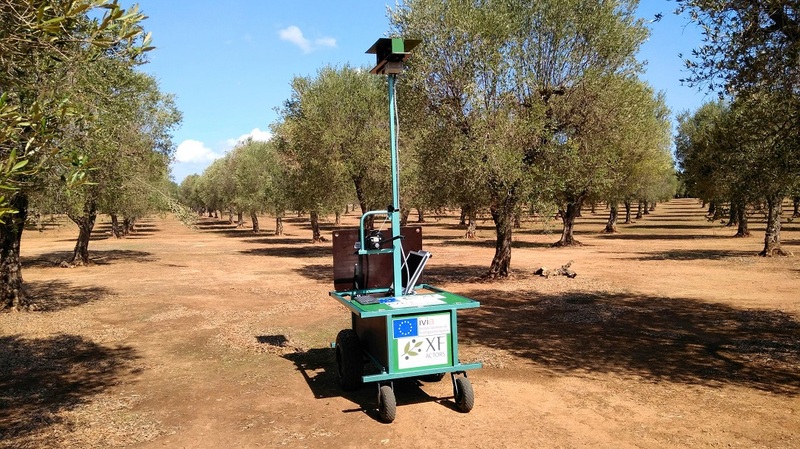 These activities have been carried out with the collaboration of the CMCC (Lecce, Italy) and the CIHEAM IAMB (Bari, Italy) in the framework of the XF-ACTORS project funded by the UE.